So far on my wanderings I have happened across a number of unusual things in churches and churchyards, some of my favorites to date being The Depressing Chair of Bishops Cannings, The Nether Wallop Pyramid, A Brief History of Bread Prices, A Church Load of Virgins and Finding Sweet FA. Given churches offer such a rich source of oddities I make sure to take a peek in as many churches as I can. 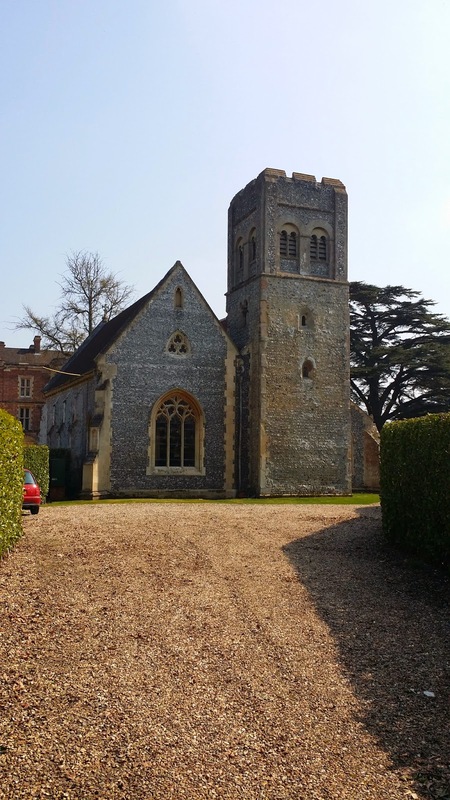 Recently I visited Wickham in Berkshire (not to be confused with Wickham in Hampshire - which is the home of The Shop that Fought in the War of 1812) and had a quick look around St. Swithun's Church. St. Swithun's Church is notable as its tower dates from the Saxon era and is possibly the oldest example in the country. The church is located near the site of an ancient Roman camp, and recycled Roman tiles and columns can be seen incorporated in to the tower's construction. It is thought that this tower was originally built as a free-standing watch tower, with access to the first floor provided by a ladder that could have been pulled up when the need arose. The main body of the church would have been a later addition to the tower. The main oddity of interest lies within St. Swithun's Church. As you enter the nave of the church carved angels can be seen decorating the roof beams, which seems to be a fairly standard type of decoration for a church. 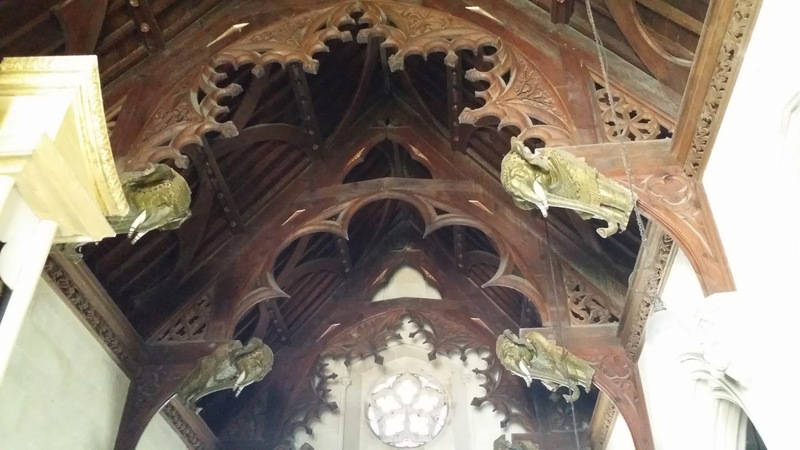 However, when you move into the north aisle, which houses the church's organ, the roof beams are unusually decorated by eight large golden elephants. It seems that between 1845 and 1849 the church underwent extensive refurbishment and that the nave, chancel and both the north and south aisles were effectively rebuilt. The person responsible for this work was a William Nicholson, and it was during a visit to an Exhibition in Paris that he is said to have impulsively bought four papier maché elephants to decorate the church. 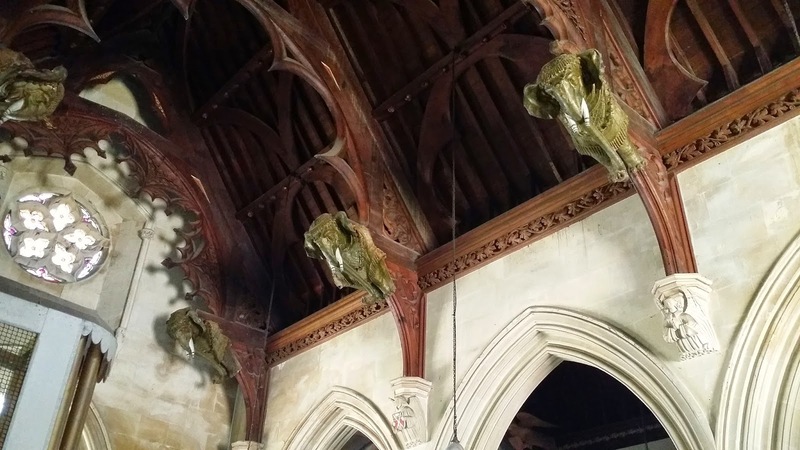 Needing four more elephants to complete the task, Nicholson apparently had another four specially commissioned to finish the new look of the north aisle. 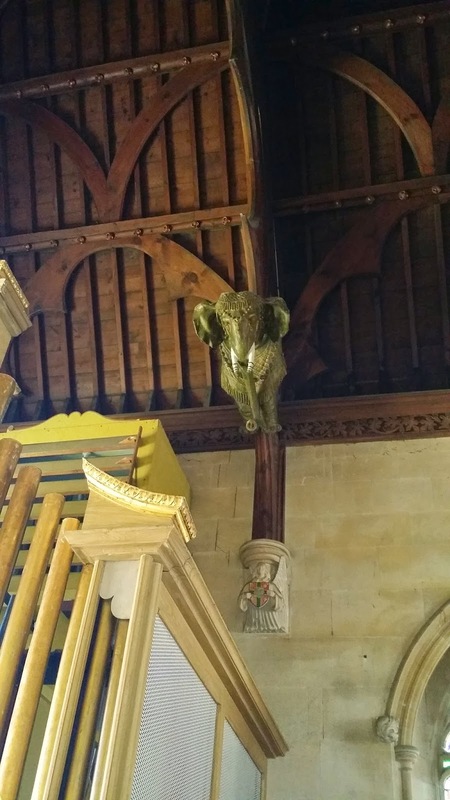 I am guessing that a village church decorated by golden elephants is a bit of a rarity in the United Kingdom, but if you know of another, please let me know. St Swithun's Church, Wickham, Berkshire. 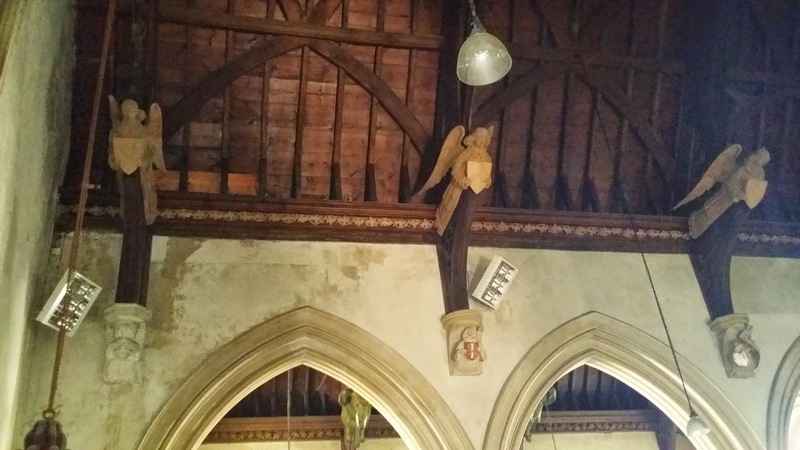 Angels decorating the roof beams in the nave. The north aisle's elephants can be seen though the archways.